Just finished doing a short spot as part of the “BETT Study Tour: e–Learning and Innovation in Technical Education and Skills” organised by the British Council. • Share knowledge, information and good practie in the area of e-learning, innovation and digital simulation in technical education and skills in the UK. • Explore how the use of e-learning technologies has enhanced management, learning programmes, assessment and overall quality and inclusiveness of skills education. • Explore how e-learning technologies have changed the roles of teachers, trainers and learners and the UK’s approach to developing digital literacy. • Share experience of how e-technologies have supported collaboration, including international collaboration. • Provide delegates with opportunities to network with UK and international experts in the field of e-learning and innovation including attending the Bett Show 2014. • Explore how technology, policy, strategies and approaches reviewed during the tour could provide useful models for delegates’ own national plans. I spoke to delegates from a range of countries – including Uzbekistan, Pakistan, Eygpt, Trinidad and Tobago, Columbia, and Bahrain – on the importance of building communities to support the effective use of technology in education. I looked back at the history of the curiculum champions list, which started way back in 2000AD. The list seems to have succeeded for a number of reasons. It has maintained a focus on JUST FE, whilst list members have moved into other roles, and educational areas, the core of the discussion is on technology that supports FE. The closed nature of the list means the folk who post are known – there are around 600 list members, and over a six month period they’ll be around 1000 posts, from around 170 different posters, so the active posters will be familiar, and those who give good advice will be recognised. An analysis of the list shows that 15% of posts ask questions and 65% answer, which feels like a healthy response ratio. 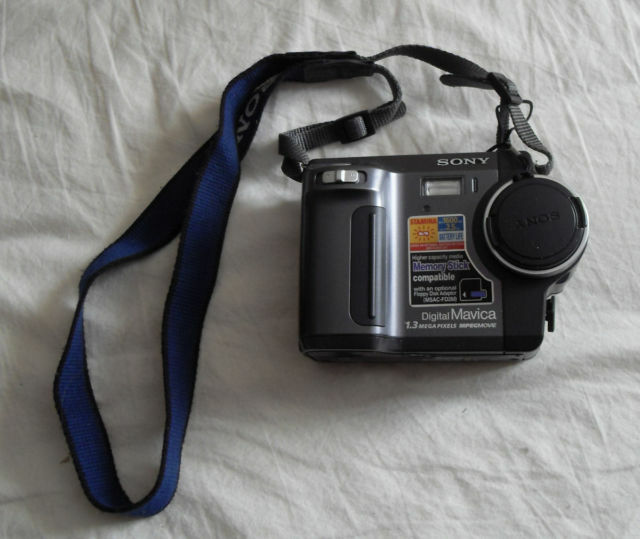 As part of the talk I looked back to my first posting, and the replies, and was delighted to discover where I found out about my Beloved SONY Mavica disc cameras… and my fumbling attempt to describe an e-portfolio. We have recently put together a bid for the innovative IT projects fund which if successful should allow us to issue NVQ students with digital cameras to help create portfolio evidence. The particular cohort have mild learning difficulties and the idea is to get them to record activities using pictures with a few words, so they don’t end up writing pages of evidence sheets. Has anyone tried anything similar? I was looking to get the photgraphs indexed and sorted using Hypercard? or some other software with a VERY simple interface. A friend suggested creating a Database framework for this, but I’m loathed to create if there is something already useable, suggestions on a postcard…. I’ll probably need to create a hard copy of the evidence in case the TSC don’t like the electronic form. Happy Christmas, students are nearly gone!!! We use a Sony Digital Mavica FD85. It was about £500. It stores photographs onto floppy disks. This would be good for portfolio evidence as each student could have their own disk to carry around and to use at home. You do not need any download software; which we have found useful, as the College uses Windows NT and only technicians have rights to load software onto machines. We got the camera in September and it is becoming the one of the most booked ILT resource. The camera automatically index’s the pictures (number order)in a web file that can be viewed on any web browser; or you can insert any picture into a Word file, add text and then print it off. photograph libraries. Staff in this curriculum area who were previously ‘talk & chalk’ have been enthused and encouraged to get involved in ILT when they see how easy the camera is to use.